The ML Learning Initiative is excited to announce the Learning Fellows for the 2018-19 academic year. These nine fellows form a community of graduate student researchers from eight different groups here at the Media Lab. They’re developing new technologies to cultivate creative learning in a variety of contexts—from designing activities for computational tinkering to supporting family engagement in children’s storytelling. This year also marks the second cohort of the LEGO Papert Fellowship program, which honors the legacy of educational-technology pioneer Seymour Papert, a founding Media Lab faculty member. Each year, the LEGO Papert Fellowship funds the work of three graduate students who are working at the intersection of creativity, play, learning, and new technologies. The Media Lab Learning Fellows program was created with generous support from Bezos Family Foundation, Joyce Foundation, New Profit, and Siegel Family Endowment. The LEGO Papert fellowship was endowed by the LEGO Foundation, a long-time member of the Media Lab. Anneli is a PhD student in the Social Machines group working on the Playful Words team to develop child­-driven and machine­-guided technologies that empower children to share their voices with others, while teaching important literacy skills and fostering a love of reading and writing. Anneli’s particular interest is in storytelling and how it can empower children and engage families in supporting their children's playful learning process. To explore this, Anneli works on Learning Loops, which aims to support family engagement in children's storytelling and empower children as authors through coach-assisted networks centered around StoryBlocks. 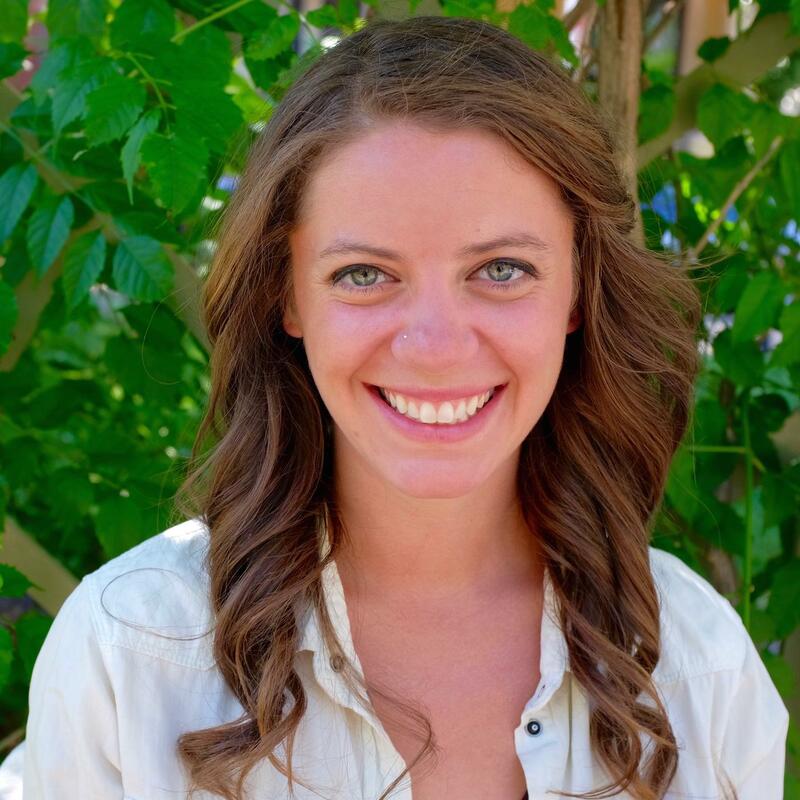 Anneli received her BA in psychology, focusing on neuroscience, from San Diego State University and her master’s in child development, focusing on literacy learning, from Tufts University. Her work in literacy learning has been motivated by her own experiences with dyslexia. Because of this, she wants to understand how the brain learns to read and design tools to translate that research into meaningful practice with high reach for all families. She has had a lot of experience in education, working as a therapist, preschool teacher, literacy instructor, tutor, researcher, online literacy curriculum creator, and designer. "I am currently re-learning how to make 360-degree turns on roller skates. I used to dance on roller skates when I was a child, and have recently been trying to get back into roller skating. On sunny days you can sometimes find me fumbling along the Esplanade!" Avery is a second-year graduate student in the Sculpting Evolution group, where his bench research interests relate to strategies for engineering multiplexed CRISPR arrays and developing model systems for understanding genetic editing of wild populations. In parallel to this work, he’s interested in employing the responsive science model for community-guided development and implementation of ecotechnologies (specifically on St. John and the Boston Harbor Islands). On the learning side, he’s passionate about designing and teaching hands-on topics on ecology, climate, evolution, and engineering. Currently, he is a co-lead for the Climate CubeSat CoBuild Program, run by the Media Lab Space Exploration Initiative, and has, as a National Geographic Explorer, developed Ecology, Evolution, and Engineering for Empowered Brains as well as City as Classroom, City as Laboratory—platforms focused on landscape literacy for Boston-area youth. In addition, he has a special interest in developing workshops with and for neurodiverse student populations. Avery grew up in Manchester, New Hampshire, and, prior to entering the Media Lab, studied microbiology and immunology at the University of New Hampshire. "In my free time, I love to play the violin. I’m currently learning Hindemith’s first Unaccompanied Violin Sonata." Carmelo is a PhD student in the Lifelong Kindergarten group, where he is learning about creative learning and tinkering with computational tinkering. He’s currently working on the design and facilitation of online learning experiences for educators, including the Learning Creative Learning course and community. He’s also involved in the design of technologies and activities for computational tinkering, engaging children in playful experimentation with physical and computational materials. Carmelo grew up in a small town in Salento (the “heel” of the Italian “boot”) and studied electrical and computer engineering at the University of Bologna. 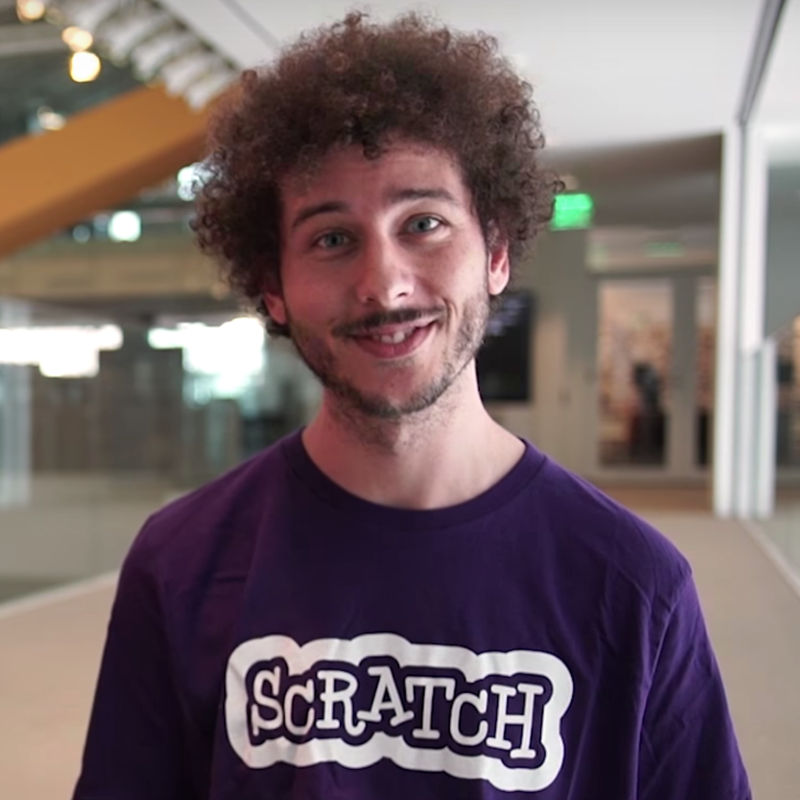 After working for several years as a software developer, he stumbled into a programming language called Scratch and fell in love with the idea of helping young people learn by creating. He founded a free, volunteer-led coding club for children in Bologna and supported the CoderDojo community in Italy. "I’m currently learning how to play the cajon in a small italo-american jazz band, how to play the trombone in a big community brass band, and how to play the kazoo in any other situation!" David is a service designer trained in behavioral and social science, user research, and data analysis, as well as a first-year student at the Media Lab. Before coming to the Media Lab, he co-founded and ran Foossa, a community-centered design firm whose work ranges from workshops and trainings to multi-year service innovation projects. He’s also been a lecturer in design and management at the Parsons School of Design at The New School. At the Media Lab, David is beginning several projects that sit at the intersections of civic engagement, public interest technologies, and social equity. He’s a researcher in the Space Enabled research group, whose mission is to advance justice and development on Earth using space-based designs and technologies. 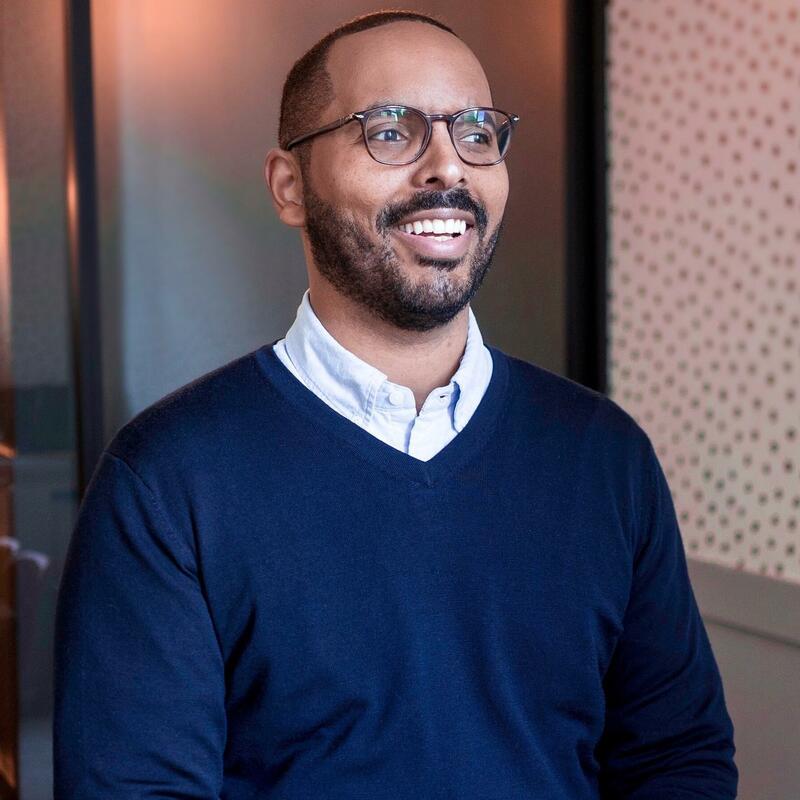 One of his long-running interests is in building fair and inclusive financial services in the US and abroad, and he’s currently incubating a project on what he’s calling "financial citizenship." David is also interested in the governance of artificial intelligence systems, and he’s beginning projects that will help inform competition policy and bias reduction. "I’m currently learning to play squash, and how to think like an engineer." 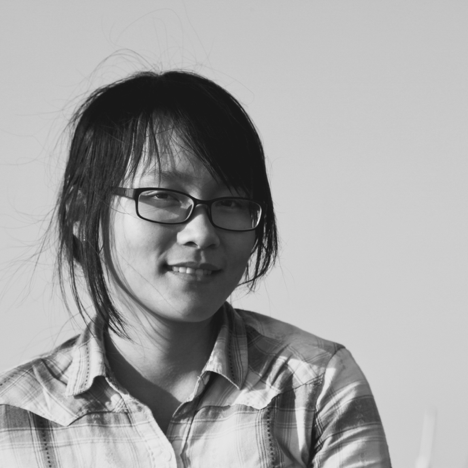 Huili is a PhD student in the Personal Robots group. She works at the intersection of HCI, computing, and psychology. In particular, she explores dynamics behind human-human interaction and human-AI interaction through a computational approach, with the ultimate goal of promoting human flourishing. One of her current projects is to study mechanisms behind parent-child shared reading and the participation gap in such reading activity between high—and low—SES families by building multimodal computational models. The ultimate goal of this project is to explore how to leverage socially interactive technologies to facilitate the learning interaction between parents and children. Huili grew up in Guizhou, China. She obtained a BS in computer science and BA in psychology with a minor in peace studies from the University of Notre Dame. She did a variety of social service activities in the past years, teaching children in rural China, promoting community engagement in the Appalachian region, rescuing wildlife animals in Costa Rica, and interning for an education organization in rural Zambia. She is very passionate about social engagement and community empowerment! "I am currently learning how to find time to read literature during semesters. I really love all types of literature, especially European literature. In college, I had a habit of reading literature and philosophy during my spare time. In the past two years, reading a literature book became a luxury to me. Now, I am re-learning how to find time to READ ☺"
Jaleesa is a graduate student with the Lifelong Kindergarten research group, where she is focused on creative learning and learning technologies. Specifically, she is examining the race, class, and social barriers to constructionism in education through an intersectional lens with the hope to provide solutions to eradicate them—giving marginalized youth access to STEM technologies and equipping educators to provide an equitable learning environment. Prior to graduate school, Jaleesa was the Computer Clubhouse Coordinator in Tacoma, Washington, where she also participated as a member from 7th–12th grade. She was also a computer science teacher at the Science and Math Institute (SAMI), and then helped start the Industrial Design Engineering and Art (IDEA) school. 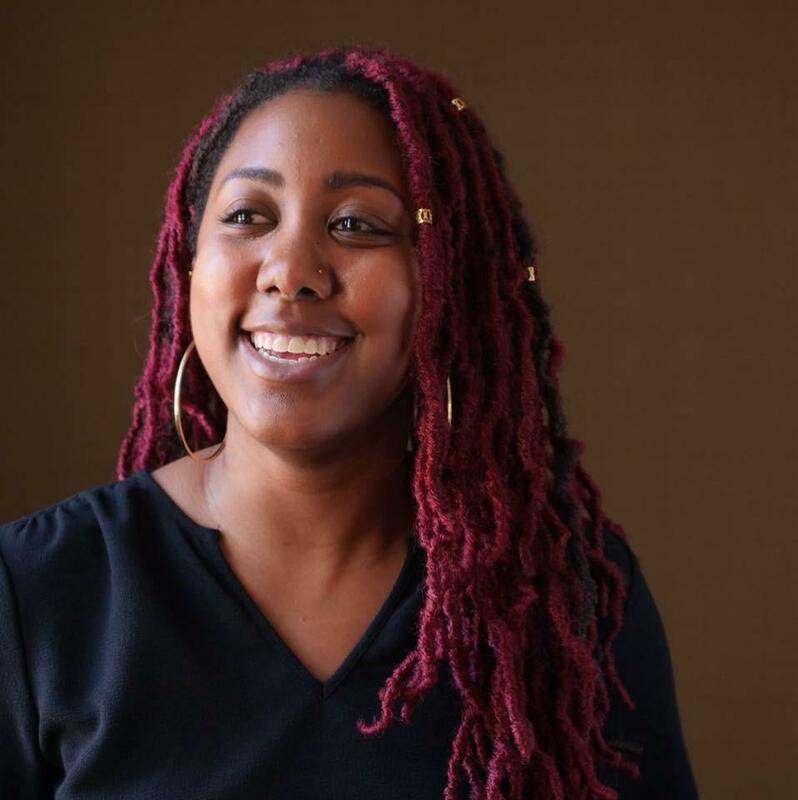 Additionally, she is a community organizer with a group called Tacoma Action Collective, where she has helped bring awareness to many issues such as health disparities, gun violence, police violence, housing inequalities, the achievement gap in education, access and representation in STEM, and other issues that impact marginalized people. She received her bachelor's degree from the University of Washington in Human Centered Design and Engineering with a concentration in human-computer interactions. "I am currently learning how to practice self-care! I intentionally schedule time to read, write, and walk a few times a week to disconnect from technology, and I'm learning how that impacts the way I see the world." Joao is a graduate student at the Media Lab with the Tangible Media group, where he explores the programmable properties of physical objects and materials. Originally from Brazil, Joao is a designer and self-taught programmer who works at the intersection of physical and digital mediums, employing technology for creative expression. 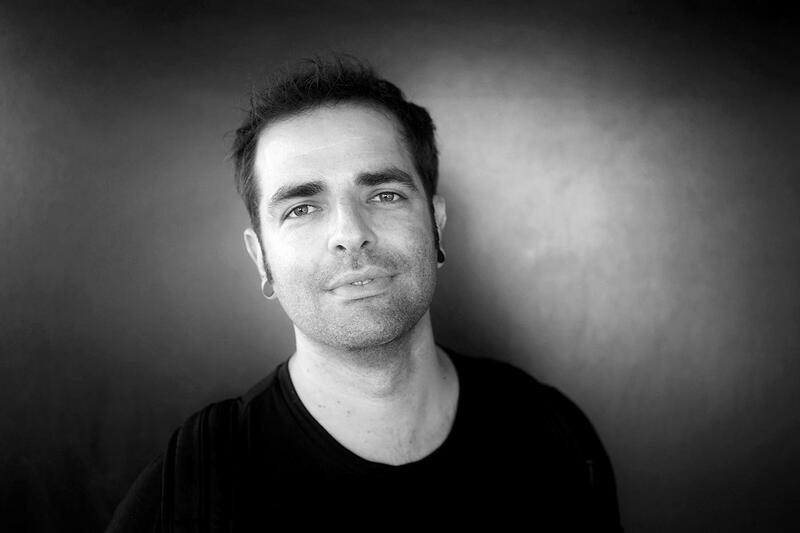 Focused on human-computer interaction, Joao has created projects that engage with themes emerging from mediated collaboration. More recently, he explored ways to take interactivity from the screen into the physical world. His projects include Project Jacquard: weaving touch and gesture interactivity into any textile using standard, industrial looms; Project Bloks: an open hardware platform to help designers and researchers build the next generation of tangible programming experiences for kids; and NSynth Super: a synthesizer that uses a Machine Learning algorithm to create sounds that exist between sounds. 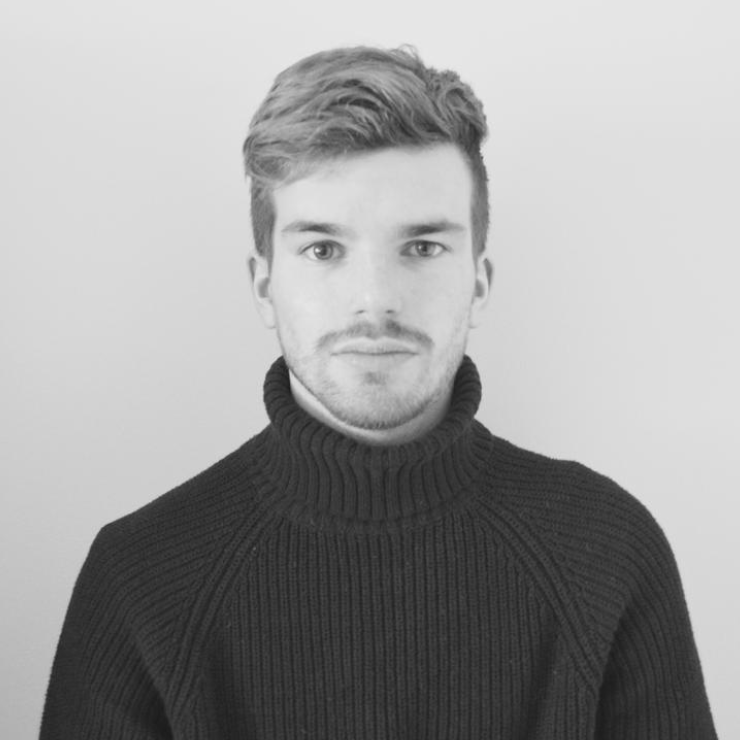 Prior to joining the Media Lab, Joao worked at Google Creative Lab, Poke, and Haque: Design+Research in London, amongst other companies. Joao holds a bachelor's in Social Communication and a master's degree in Interactive Media from Goldsmiths University in London and was a grant holder at FABRICA (Benetton’s center for Research in Communication in Italy). "I’m currently learning how to be a father by following the first steps of my young son, Yuri." Kristy is a doctoral student in the Affective Computing research group. She works at the intersection of neuroscience, engineering, and autism. In particular, she studies learning in children with complex neurodevelopmental differences, including nonverbal autism and intellectual disabilities. 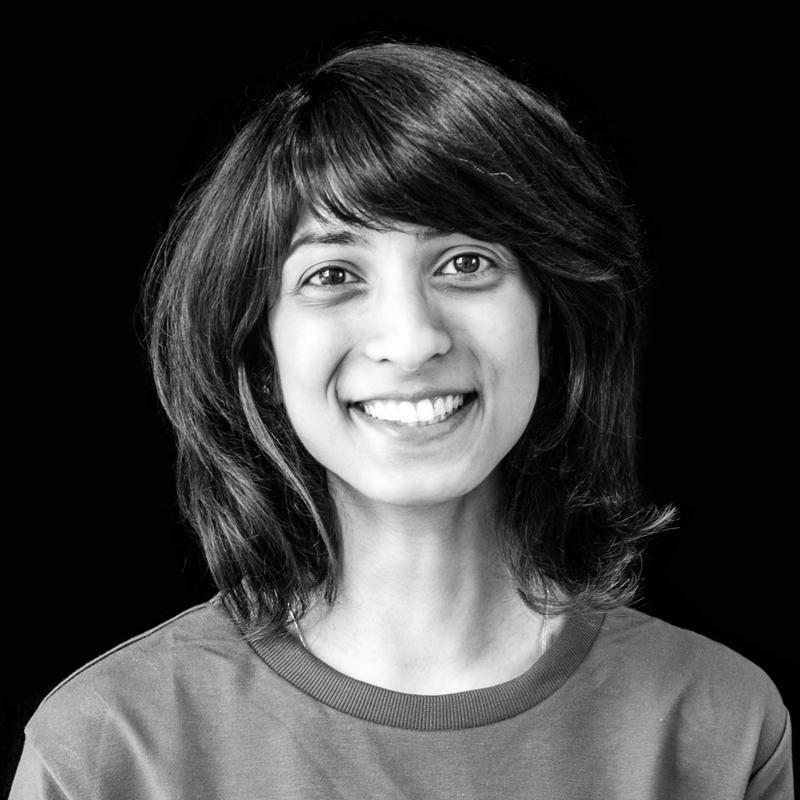 To better understand and empower these exceptional individuals, she combines techniques and tools from many different fields, including brain imaging (fMRI), wearable biosensors, and customizable learning platforms. She is working to develop a pipeline of projects that translate findings from the confines of the lab to homes and schools. 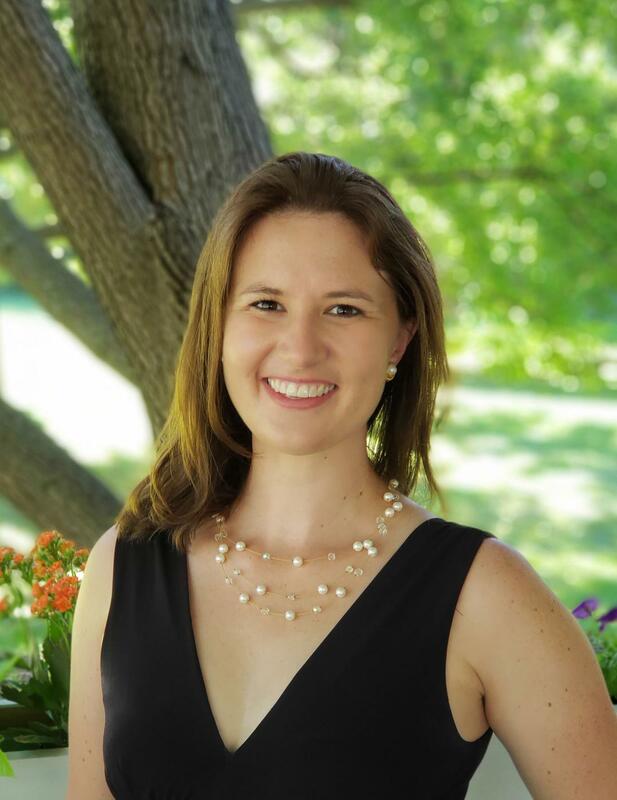 Kristy grew up in a small town in Indiana and earned her BS and MS in physics, with research in astronomy, plasma physics, and superfluids. After her son was born with a rare genetic disorder involving global developmental delays and autism, she began studying neurodevelopmental disorders in an effort to build technology to better assist and understand neurodiverse individuals. Prior to joining the Media Lab, Kristy was a scientific editor, adjunct faculty member in astronomy, and a full-time mom. "I am currently learning sleight-of-hand magic tricks and how to run fMRI experiments for children with autism!" Mina is a first-year PhD student in the Fluid Interfaces group. During her master's, she worked on constructionist learning of mathematics/sciences in the real world using mixed reality. This year she's focusing on contextually-aware technologies to empower human health and cognition. She works with user-centric wearable technology and AI. Mina was born in a small town, called Hyderabad, in Pakistan, and she finished her pre-college education in Karachi, Pakistan. Mount Holyoke College was her first home in the US before she came to MIT (as a visiting student), then went to Google (as a software engineer), and then came back to MIT (for her master's and PhD)! Growing up in a single-mother family in a developing country, Mina has always been interested in social and political issues, and she loves to have honest discussions about life, politics, philosophy, science, etc.! "I’m currently learning how to take short mid-day naps (anywhere! ), and I’m also getting back to my college loves, i.e., math and physics. I want to make my own mental model of the workings of the world :D"
The Media Lab Learning Initiative brings the collective creativity of the Media Lab to bear on the future of learning. We do this in two ways. We are building a robust community of learning research at the Media Lab — through the Learning Fellowship program and community, a seminar series, and Media Lab courses. And we are sharing this work with the world — through deployment partnerships, online courses and communities, and specialized workshops.